and our Mobile Mortgage Managers will meet you anytime, anywhere. Our team of qualified mortgage specialists are ready to take your call. We can meet you at a time and place convenient to you, even on evenings or weekends. To arrange an appointment with one of the team, simply click on the area or region that suits you best, or Free Text MMM to 50365. If you are ready to take the next step and buy your dream property, we're here to help you every step of the way. Colm has over 20 years' experience in Mortgage Lending and Underwriting and also previously owned his own brokerage firm. Colm holds the Qualified Financial Advisor (QFA), Professional Banker and Specialist Investment Adviser (SIA) designations and has commenced the Graduate Diploma in Financial Planning (CFP). "My favourite part of being a Mobile Mortgage Manager is helping my customers get the keys to their dream home. I am your direct point of contact all the way through the journey." Danny has worked in financial services for almost 20 years, He has specialised in Mortgage Lending since 2002 and has also previously worked in Wealth Management and Financial Protection. Danny holds a Professional Diploma in Financial Advice, the QFA designation. "My role as a Mobile Mortgage Manager gives me huge satisfaction in helping people fulfil their dreams of owning their own home. I take great pride in my role and will always go the extra mile for my customers." Shane has 10 years' experience in financial services. He has specialised in Mortgage Lending for the last 7. Shane holds a Professional Diploma in Financial Advice, the QFA designation. Shane is an avid GAA fan and active member of his local GAA Club - St Vincent's. He holds two All Ireland club football medals. "My role as a Mobile Mortgage Manager gives me great flexibility to meet customers at a time and place that suits them and their busy schedule." Maria has over 15 years' experience in financial services. Maria holds the Qualified Financial Advisor (QFA) designation along with other qualifications in Consumer Credit and General Insurance. "I love my job as I am able to meet my customers at a time that suits them and location that they feel at ease in. Bringing my mortgage expertise to customers allows them to relax and dedicate time to discuss what they hope to achieve." Conor has 6 years' experience in financial services with an expertise in Mortgage and Financial Planning. Conor is a Qualified Financial Advisor (QFA) and holds a Professional Diploma in SME Credit, both from University College Dublin. Conor is an avid sports fan with GAA holding a special place in his heart. "The most enjoyable aspect of my role as a Mobile Mortgage Manager is meeting people where they are most comfortable, this allows for a really engaging conversation and gives me a better understanding of what the customer needs. I am at hand all the way throughout the process, and love being involved to help customers get their dream home." Josephine has over 20 years' experience working in financial services. She successfully ran her own Mortgage & Financial Services brokerage firm before joining Bank of Ireland. Josephine is a Chartered Accountant (FCA) with a B.Comm (Hons) Degree from UCD in addition to being an Accredited Product Advisor (APA). "The thing I enjoy most about my role is the interaction with customers and helping them on their way to finding their dream home." Rónán has over 15 years' experience in the financial services industry, and had experience in corporate and business banking before joining the team. Rónán holds the Professional Diploma in Financial Advice, the QFA designation, a BA (Hons) in Economics and a postgraduate Diploma in Business & Financial Information Systems from UCC. "My role as a Mobile Mortgage manager means I can meet you at a time and place that suits your schedule. I take great satisfaction in guiding my customers through the entire mortgage journey and being their direct point of contact for all questions big or small." Paul has over 20 years' experience in financial services and has been a Mobile Mortgage Manager for the past 5 years. Paul holds a Professional Diploma in Financial Advice, the QFA designation. Stephen has over 25 years' experience in the Mortgage and Property Sector. Stephen ran the broker section of a national estate agent before opening his own brokerage business. He holds an Honours degree in Business Management and is an Accredited Product Advisor (APA). "I work around the needs and requirements of my customers, to support them along every step of the journey until they have their dream home." Bobbie has over 20 years' experience in financial services and specialises in Mortgage Lending. Bobbie is a Qualified Accountant under ACCA and is a Qualified Financial Advisor (QFA). Paul has over 10 years' experience in financial services. Paul has specialist knowledge in Mortgage Lending and Credit Underwriting. Paul holds a Professional Diploma in Financial Advice, the QFA designation. "I look forward to being able to use my in-depth knowledge to guide my customers through the mortgage process, ensuring the purchase of their ideal home." Kevin has over 20 years' experience in financial services with an expertise in Mortgage and Commercial Lending. Kevin is a Qualified Financial Advisor (QFA) and Qualified Accountant (ACCA). Kevin also holds a B.Sc in Business from the University of Limerick. "As a Mobile Mortgage Manager I bring professionalism and expertise to clients and I am your direct contact throughout the house buying journey. I provide a wide range of supports during what can be a stressful time for home buyers." Geoff has over 20 years' experience in financial services with an expertise in Mortgage Lending. Prior to joining Bank of Ireland over 2 years ago, he worked for some of the largest brokers and banks in the country. Geoff is a fully Qualified Financial Advisor (QFA) while also holding a B.Sc in Business. "There should be no hidden agenda when it comes to mortgages, I set out to give my clients advice they can understand, trust and rely upon." Robert has over 20 years' experience across retail financial services. Robert holds a Professional Diploma in Financial Advice, the QFA designation. "My role as a Mobile Mortgage Manager means that I can meet a customer where and when their busy schedule allows. I take great satisfaction from delivering one to one service to my customers and guiding them from start to finish in the mortgage journey." Cathy has over 10 years' experience in the financial services sector and previous to joining the team, she worked in Branch and Business Banking across various locations in Leinster. Cathy is a Qualified Accountant (ACCA) and a Qualified Financial Advisor (QFA). "The best part of my job is helping you through the entire mortgage process, right up to when you collect the keys to your new home." Robert has over 12 years' experience in financial services with expertise across Branch Banking and Credit Underwriting. Robert holds both the Qualified Financial Advisor (QFA) and a B.Sc in Business. I am a self-confessed health and fitness fanatic and if I'm not working I'm probably in the gym. Shane has over 8 years’ experience working in Financial Services. He is a Qualified Financial Advisor (QFA) and also holds a Professional Diploma in Financial Advice. 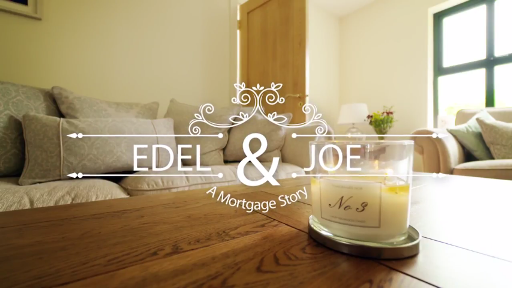 "It is my goal to make my client’s mortgage journey as seamless as possible. I take great satisfaction in guiding them from initial application stage right through to them getting the keys of their new home." Rory has over 6 years of Banking experience and a number of years specialising in mortgages. Rory is a Qualified Financial Advisor and also holds a Bachelor Of Arts Degree. Rory is an avid sports fan and currently plays Rugby with Buccaneers RFC in Athlone. "Over the years I have developed the knowledge and experience to guide you on your mortgage journey whether you’re a first time buyer or portfolio investor. The job satisfaction from helping someone get into their new home never gets old. As a Mobile Mortgage Manager I can provide you with the flexibility to meet at a time and place that suits your schedule." Jozette has 11 years' experience in financial services. Jozette has held a number of roles within Bank of Ireland and has specialised in Mortgage Lending over the last decade. Jozette holds both the Qualified Financial Advisor (QFA) and Professional Banker designations. "I take immense satisfaction from having customers entrust me with one of their most important decisions. Being able to meet and exceed my customers' needs and expectations is very fulfilling." Paddy has over 10 years’ experience in financial services and previous to joining the team, he worked in both branch and business banking in the Limerick and Clare regions. Paddy attended Limerick Institute of Technology and holds a Degree in Marketing and Management in addition to a Professional Diploma in Financial Advice, the QFA designation from the Institute of Bankers. "Being able to help clients fulfil their ambitions of buying a home gives me real satisfaction. I bring flexibility to the role and can meet you at a time and place that suits your needs." Ann has worked for Bank of Ireland for over 20 years and been a Mobile Mortgage Manager for the last 5. Ann holds a Professional Diploma in Financial Advice the QFA designation. "My role as a Mobile Mortgage Manager allows me to meet customers at a time and place that suits them. I am able to use my knowledge and expertise in mortgages to help my customers achieve their goal of turning the key in the door of their dream home." Mark has over 25 years' experience in financial services with an expertise in Mortgage Lending and Property Market Development. Mark holds the QFA and Chartered Banker designations as well as a diploma with the LIA. "As a Mobile Mortgage Manager I bring professionalism and expertise to clients and I provide great support to them throughout the house buying journey, which can be a very stressful period in their lives." Tim has over 15 years' experience in financial services with expertise in Mortgage Lending and Property Surveying. Tim holds both the Qualified Financial Advisor (QFA) and Professional Banker designations along with a B.Sc. in Valuation Surveying. "The most rewarding part of my job is helping people that are looking for their dream home. I can meet you at a time and place that suits you, be it at home, work or a place of your choosing." Alan has over 14 years' experience working in financial services. Alan has held a number of roles across financial services, working in Branch Banking, Private Banking and Mortgages. Alan holds the Qualified Financial Advisor designation (QFA) and has recently completed the Grad Diploma in Customer Financial Planning (CFP designation) with University College Dublin. "The best part of my role is bringing great flexibility and excellent service to my clients. I can meet you at a time and place that suits your busy schedule and I am always available by phone and email on weekdays and weekends to provide a great customer experience." Fiona has 10 years' experience in financial services with an expertise in Mortgages and Business Banking. Fiona attended University College Cork and holds a B.Comm (Hons) in addition to a Professional Diploma in Financial Advice, the QFA designation from the Institute of Banking. "The most enjoyable aspect of my role as a Mobile Mortgage Manager is the interaction with my customers, working with them to understand their needs and meet their goals." Micheál has over 15 years' experience working in financial services. Micheál has worked for many different financial institutions over these years and held roles in Mortgages and Asset Management. Micheál holds a B.Sc in Finance from UCC and holds the Qualified Financial Advisor designation (QFA) from the Institute of Bankers. Micheál is heavily involved with coaching under 10's in the football academy in Carrigaline United AFC. The FAI Club of the Year 2017. "I really enjoy being able to guide my clients through the mortgage process, particularly First Time Buyers who can find the process so daunting. My favourite part of the role is being able to deliver the excellent news, telling people they are mortgage approved for their dream home."